Raglan fleece w/raw cut bottom opening ribs, multicolored thermo-adhesive metal studs on front. Crew-neck fleece; reverse fabric and discharge print treatment on front and sleeves. 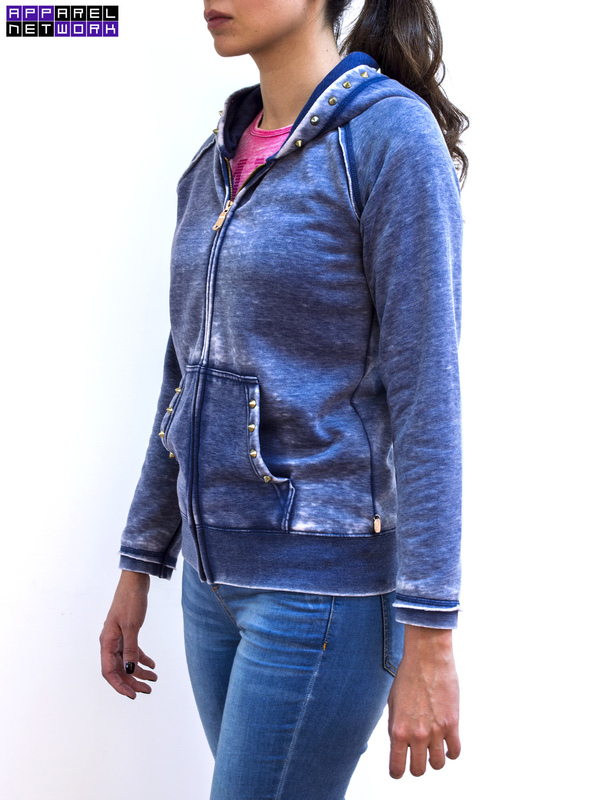 Fleece hoody: outer layer, ribbed bottom and sleeves 100% wool; melange grey color. 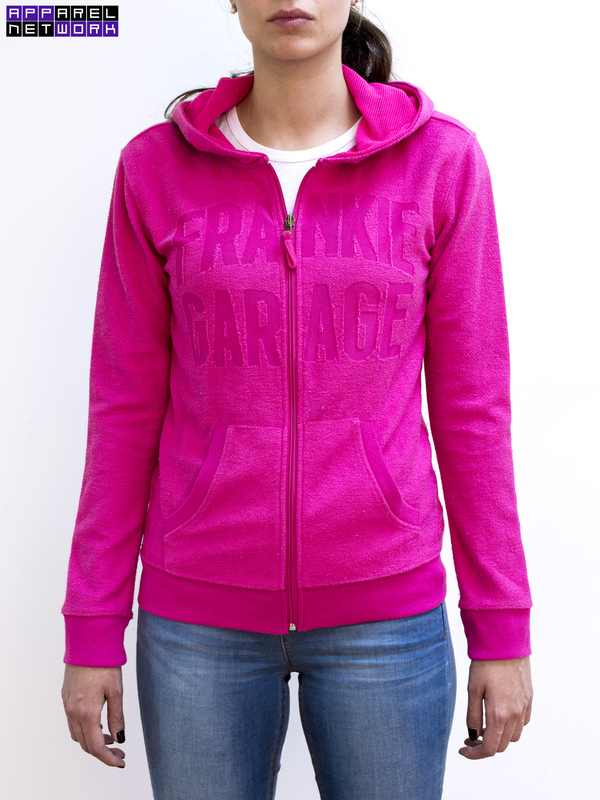 Fleece hoody; reverse fabric and discharge print treatment . Hood lining in matching color mesh. Fleece hood; reverse fabric and discharge print on front; hood lining in matching color mesh. Raglan fleece hoody with burn-out; raw cut rib and over-lock; opaque gold spikes on hood and front pocket. Padded jacket, 100% polyester fill, nylon shell and ripstop; polyester eco-fur on collar and sleeves. 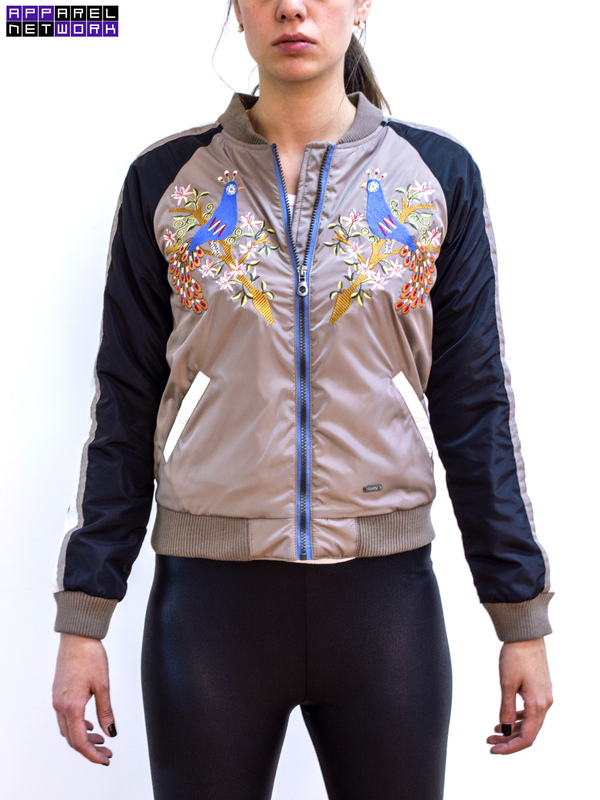 Raglan sleeve jacket in nylon fabric with high definition embroidery on chest. Jacket in suede-like combed fabric; nylon sleeves; side insert in cotton rib w/artifical polyester eco-fur on collar. Jacket in fake leather; sleeves in coated memory nylon. 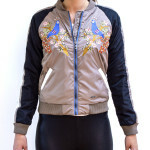 Padded jacket, 100% polyester fill; nylon shell w/second layer of transparent nylon fabric w/pattern. Padded jacket, 100% polyester fill; Digital printing on shell and polyester eco-fur on hood. Jersey tee w/burn-out and water printing; cut-folding workmanship on sleeves w/silver thermo-adhesive studs. Poncho tee in jersey fabric w/burn-out. Shiny gloss printing on front. 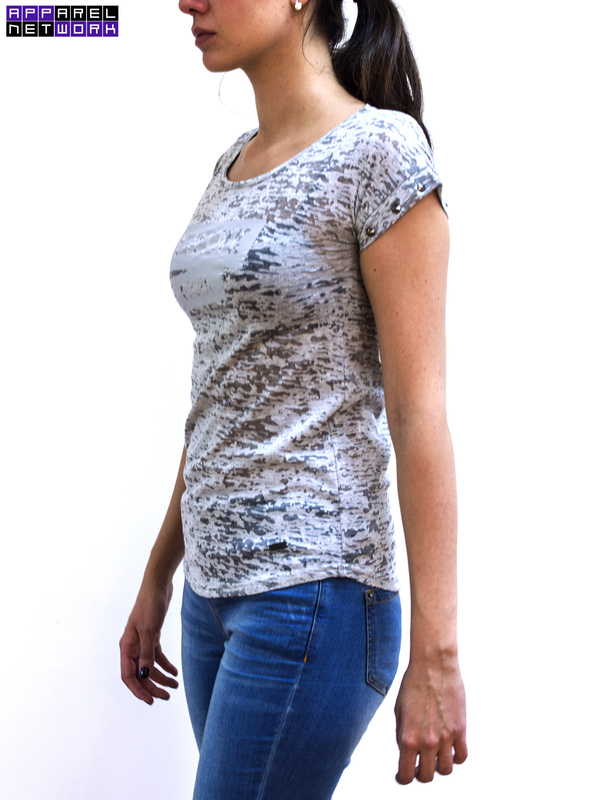 Jersey cold-dyed tee; mylar and photographic printing on front. Raglan sleeve hoody tee in satin-like print; french terry reverse fleece sleeves and back. 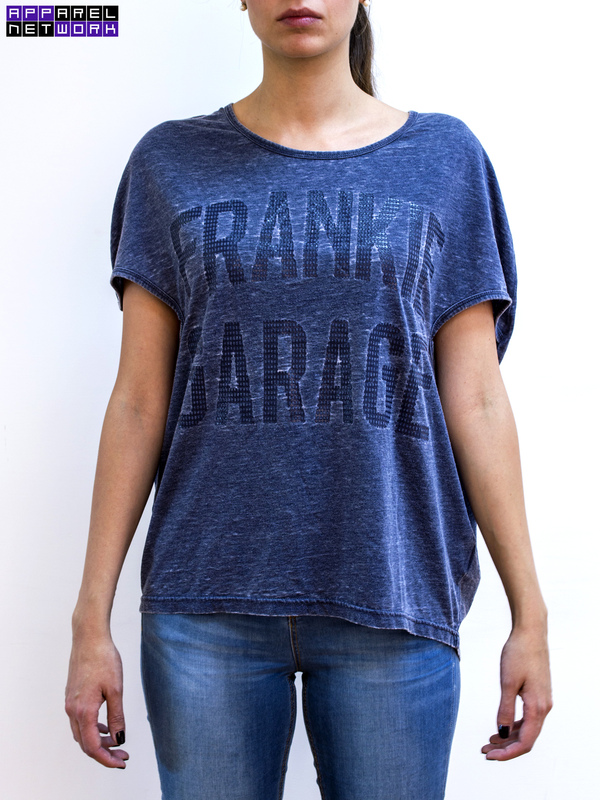 Jersey fabric tee w/burn-out; shiny glossy printing on front. Low-necked tee in slub fleece; raw cut sleeves; satin-like front sides w/digital printing flower motif. 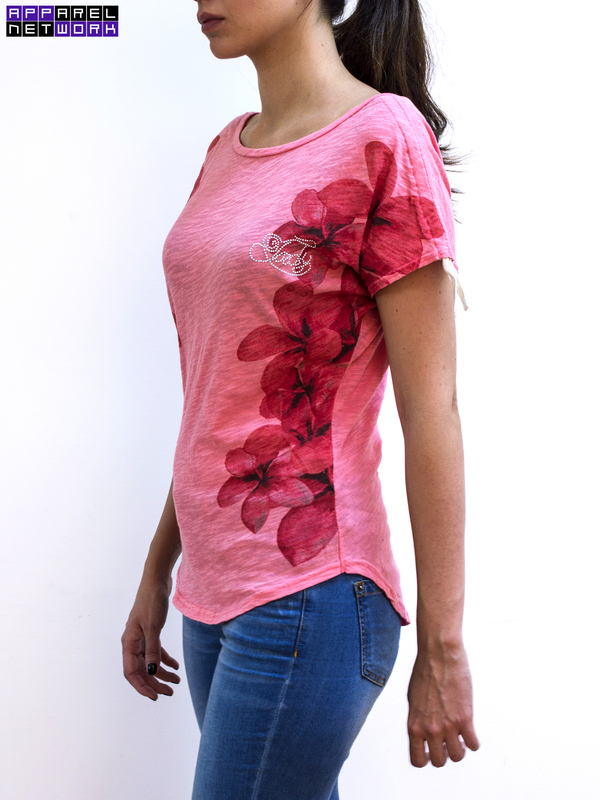 100% cotton jersey tee w/cold-dye treatment; terry fleece chest applique w/print flower motif. 100% cotton slub jersey tee w/high definition digital print. 100% cotton brushed fleece trouser; high def embroidered decoration. 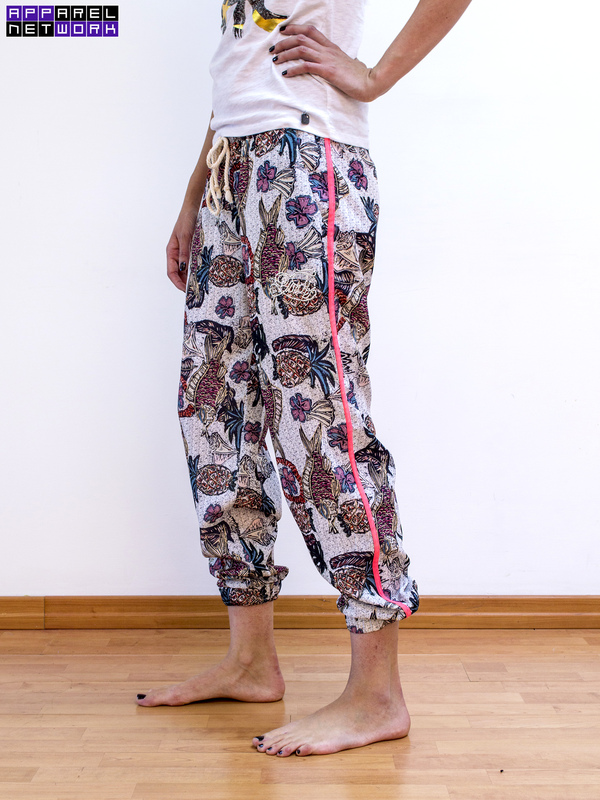 Satin-like polyester trouser in all-over colorful flower print. Slub french terry fleece trouser w/digital printing. Low waist trouser 100% cotton brushed fleece; camouflage print all over. Metal studs applied on side-seam on front pocket. 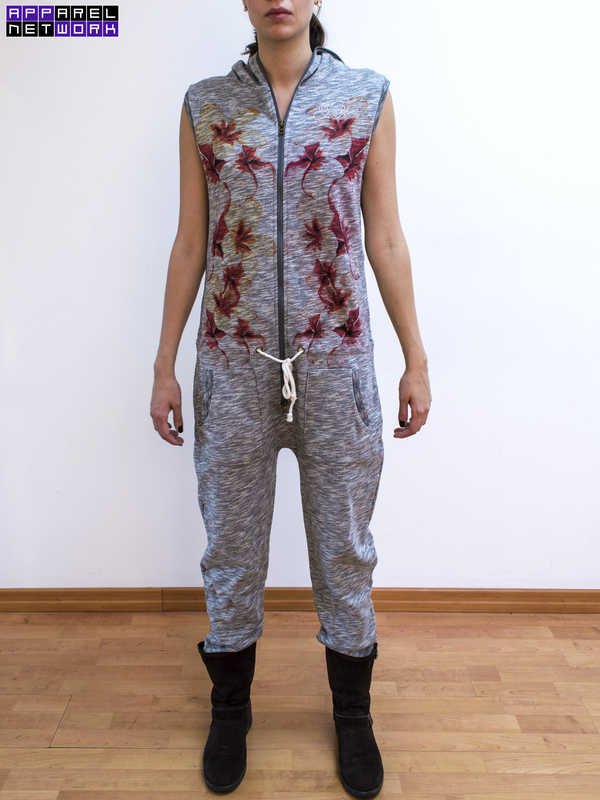 Sleeveless one piece jumpsuit by slub french terry fleece. Artwork by digital printing.